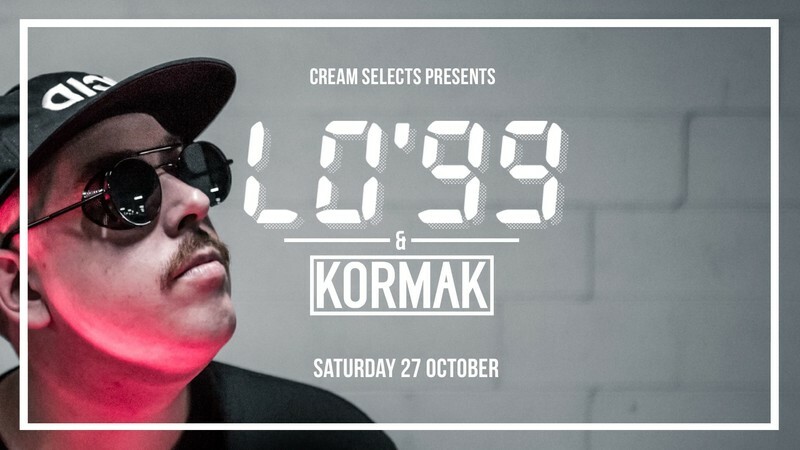 Cream Selects #3 - We're bringing a couple of rising stars in the Tech House world over for one mad night in the lane! Massive thanks to Red Bull + Strangers Lane. This Sydney producer makes tracks that blur the lines between house, tech-house and breaks; his production usually always packing a heady bassline and often contains a little 2-step or garage influence. This Sydney producer makes tracks that blur the lines between house and breaks; his production usually always packing a heady bassline and often contains a little 2-step or garage influence. And why not we say!! Dance music’s elite are getting behind his vision with LO having secured releases on cult labels like Night Bass, Bunny Tiger, Confession and This Ain’t Bristol. To boot, he’s been called upon to remix some of the greats like Röyksopp, Kaskade, Moby, Peking Duk, AlunaGeorge & more. In no time LO’99 has clocked up four Beatport #1s & had his tunes spun on Triple J, BBC Radio 1,1xtra and many other networks around the world, his debut single Take Me Back hit #5 on the UK club charts, while his 2016 runaway hit ‘Make Me Feel’, the following single ‘Fallen’ and his last single feat. Elizabeth Rose ‘From The Start’ all became #1 club records on the Australian ARIA charts, released through his very own imprint Medium Rare Recordings. Last year also saw LO perform at Splendour In The Grass, Nocturnal Wonderland and on the main stage at EDC Las Vegas as well as running his own secret location shows across Australia’s east coast. LO kicked off 2018 with an official remix of Fatboy Slim’s Star 69 which is still getting hammered by everyone from Richie Ahmed and Claptone, to Roger Sanchez and Tiesto. He’s just embarked on a 12 date ‘Bizness’ tour around Australia & New Zealand and will be returning to the states for the USA leg of the tour which includes a return to EDC Las Vegas in May 2018.